Sekiro: Shadows Die Twice is finally here, and it provides a very stern challenge -- even for those that have played previous From Software games. Set in a fantastical version of Sengoku era Japan, you'll need to master all the game's systems and features if you're to take down the many foes that stand in your path. In this guide, we'll be discussing the very basics of Sekiro to set you on your journey, from the controls to what on earth Dragonrot is. Below, we'll be going through some basic information to get you started in Sekiro. 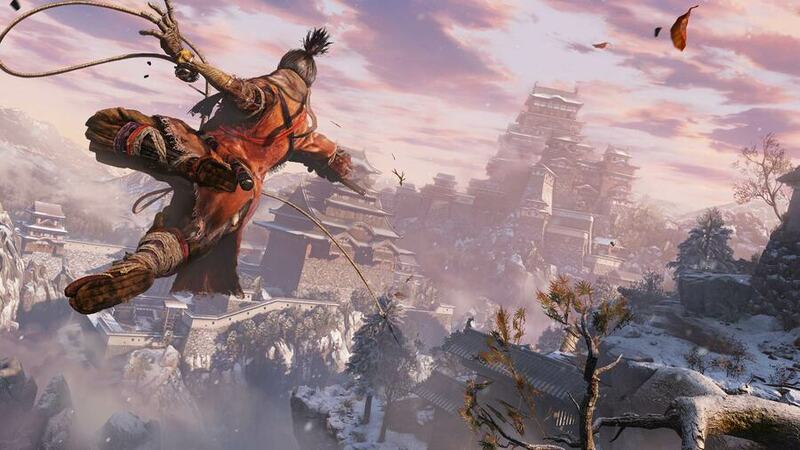 As in previous From Software titles, Sekiro boasts lots of items to find throughout its world. From health pickups to new Shinobi Prosthetic Tools, each location is full of things to collect, so you'll want to keep a sharp eye out for anything useful. We won't go into full detail of everything in the game, but below are some basic items that will help you survive the first few hours. Posture is the key to combat in Sekiro. In addition to health bars, enemies have posture bars, and you also have both to look after. Hitting an enemy with an attack will deal health damage, but it will also increase their posture meter. The aim is to fill the posture bar, which will render the enemy open to a Shinobi Death Blow -- a one-hit kill. The posture bar will fill more quickly as you reduce an enemy's health, so it's important to tackle both meters, especially on tougher baddies. However, you won't land many of your attacks, as enemies are quick to defend themselves. Attacking while they guard will still damage their posture, but you'll need to watch out for your own posture too. If they deflect or parry, you'll take a fair amount of posture damage. Luckily, you can do this to your opponents as well, and it's a skill you'll need to master as you play through the game. 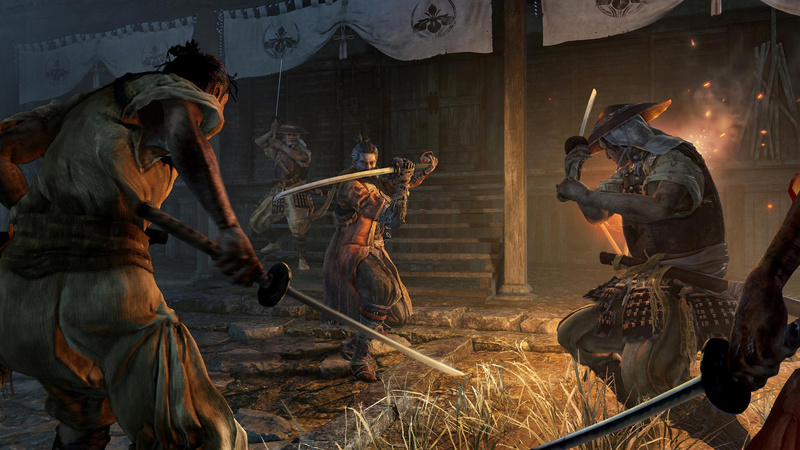 Sekiro's combat is all about precision and timing to put your foe on the back foot. Another key element of Sekiro's gameplay is its take on death. As usual, when you lose all your health, you'll die, but at this point, you're presented with a choice. You can either stay dead, returning you to the last Sculptor's Idol you used, or you can resurrect, instantly putting you back in the action exactly where you fell. Doing this consumes one of two chances, and you're brought back with reduced health. You can restore your chances to resurrect when you rest at a Sculptor's Idol or kill a certain number of enemies. If you die fully, you will permanently lose half of the money and XP you currently have. You won't be able to get this back. However, a mechanic in the game called Unseen Aid means that there's a chance you won't have your cash and experience points taken away. There are ways to increase this chance, but you can also quite easily decrease it too. Dying also spreads Dragonrot, an affliction caused by your return to the land of the living. We won't spoil too much about this disease, but it can cause friendly NPCs to become ill and even die, which can lock out certain quests and dialogue. Again, there are ways to get around this aspect, but it's clear that dying is a big deal in this game, so do your best not to. 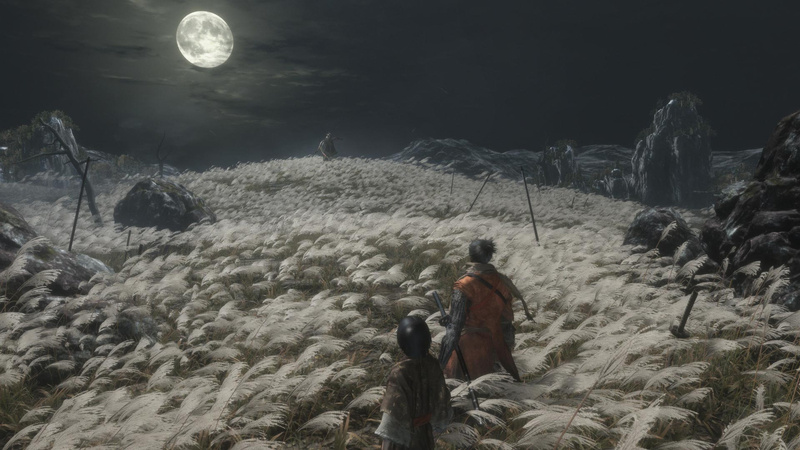 Sneaking around is one of the first things Sekiro teaches you, so you know it's important. If you run into a new area carefree, you're likely to be surrounded pretty quickly by half a dozen enemies, which is about the worst position you can put yourself in. It's best to play cautiously if you don't know what's coming up, so use L3 to crouch and use your grappling hook on L2 to get a view from above. From an elevated position, you'll be better placed to spot threats and deal with them accordingly. There are a couple of ways to take down an enemy stealthily. First, you can sneak up behind one and, when you see the red dot, you can kill them without them spotting you. Second, you can perform a vertical stealth attack by locking onto a baddie with R3, jumping from your perch, and attacking when the red dot prompt appears. Either of these stealth takedowns will attract the attention of other opponents if they're nearby, so be careful. Tackling new areas in this fashion will allow you to level the playing field for when it does all kick off. Remember that your grappling hook means you have a lot of paths open to you; if there's a gunman in a tricky position, there's almost certainly a way to get around him and take him down quietly. You are a ninja, after all. Also, when in stealth, you'll sometimes get a prompt to eavesdrop. Take these opportunities, as enemies will often unwittingly provide you with hints, such as the whereabouts of items, or how to deal with particular foes. 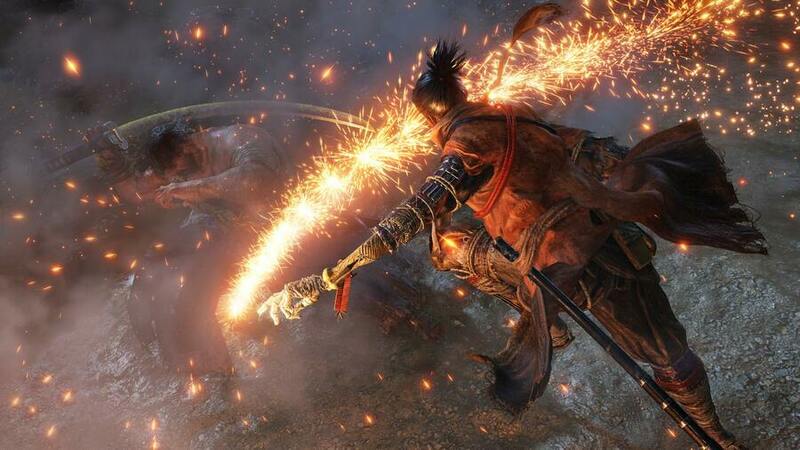 It isn't long before Sekiro gets his trademark false limb, and it's a key part of combat. The Shinobi Prosthetic is what grants your grappling hook ability, but throughout the game you'll also find various Prosthetic Tools to aid you in battle. The first you'll find is the Shuriken Wheel which, when equipped, will allow you to fire ninja stars from range. However, finding the item in the world doesn't mean you can use it straight away. First, you need to return to Dilapidated Temple and speak to the Sculptor, who will install it into your arm to create the Loaded Shuriken. This is how you unlock Prosthetic Tools for use out in the world. To use your equipped Prosthetic Tool, press R2. Each use requires Spirit Emblems, so make sure you have plenty to spare. If you can't find any, more can be bought at Sculptor's Idols. You can equip up to three Prosthetic Tools at once for quick swapping using the triangle button, but once you have four or more, you can use the pause menu to pick and choose your loadout. Other early game Prothetic Tools include the Flame Vent and the Shinobi Axe. Later on, you'll even be able to upgrade your various Prosthetic Tools by finding certain crafting materials. The Sculptor can use these to enhance any Tools, and they can be well worth investing in. Killing foes in Sekiro: Shadows Die Twice earns you XP. However, unlike Dark Souls and the like, XP isn't used to level up Wolf in the traditional sense. Instead, it adds to your Skill Point meter, which grants a Skill Point when filled. Skill Points are used to purchase, you guessed it, Skills from various trees. You'll first unlock the Shinobi Arts skill tree, where you'll find various useful moves, abilities, and passive upgrades. Each one will cost one or two Skill Points to unlock, and once you do, it'll reveal the next abilities in the tree. You can also upgrade your vitality and posture, but for this, you'll need to find Prayer Beads. You need four of them to increase your maximum health and posture meters, and they're found primarily by defeating mini bosses (usually defined by having to hit them with a Shinobi Death Blow twice). As well as Prayer Beads, they'll also drop Gourd Seeds. These are used to upgrade your Healing Gourd, your main healing item. Each Gourd Seed you give to Emma in Dilapidated Temple will increase the number of times you can use the Healing Gourd before you have to recharge it at a Sculptor's Idol. Finally, it's also possible to enhance your attack power by collecting Battle Memories. You earn these by defeating the game's true bosses. The first you'll fight is Gyoubu Oniwa, aka Gyoubu the Demon. Once he's down, you'll automatically receive the Memory, and you can upgrade your attack at a Sculptor's Idol. Here are some tips that you'll want to read before embarking on your adventure. An obvious one, this, but practice makes perfect, right? Hanbei the Undying is a friendly character you'll find in Dilapidated Temple, your main hub. He explains that he cannot die, and will offer to help you master the game's combat by using him as a training dummy. This is an extremely helpful way of getting to grips with the basics. As you progress through the game and acquire more tools and skills, you'll unlock more and more tutorials with Hanbei, and it's absolutely worth going over them. He's there for a reason -- take the time to learn the ins and outs of combat. 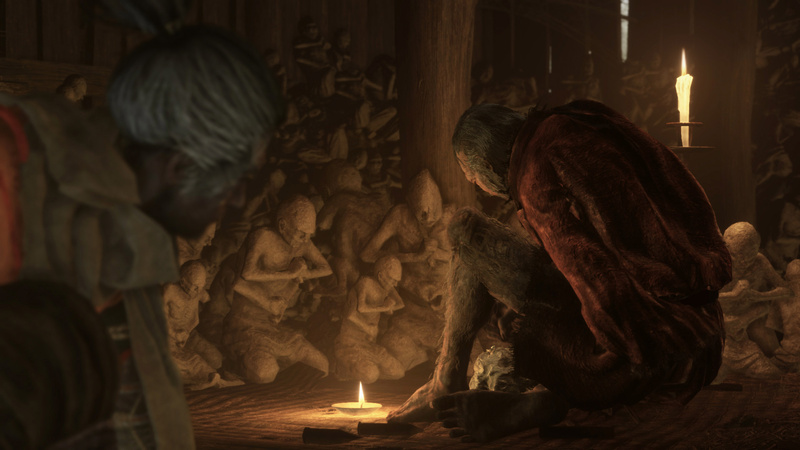 At first, it might seem like Sekiro is quite linear, but if you explore every nook and cranny, you'll discover all kinds of useful items off the beaten path. Your grappling hook can get you to all kinds of places, so make liberal use of it to make sure you're seeing as much as you can. Not only will you find items, but you may also find new enemies to fight, friendly NPCs to talk to, and even hidden areas. Keep an eye out for diverging paths as you play -- there's a lot to see. There are lots of common items scattered throughout Ashina, but not only that, enemies will very often drop them in addition to sen (money). You should be kept in very good supply of Pellets, the various Sugar items, Ceramic Shards, and more, so don't fall into the habit of hoarding all this stuff. Sekiro provides you with lots of useful things, and they'll be no good to you sat in your inventory -- use them! Spare items will be stored for you, and resting at a Sculptor's Idol replenishes your supply, so you'll almost always be stocked up. An item you'll have with you through the whole game is the Homeward Idol. This item can be used as many times as you like and costs nothing. With it, you can teleport to either the Dilapidated Temple or the last Sculptor's Idol you communed with. You'll want to use this if you're in the middle of nowhere and need to rest up, or were overwhelmed by enemies and just want a get out of jail free card. It takes a few seconds to use it though, so make sure you're safe before using it. We know we just said to use your items, but Coin Purses are an early exception. These contain a fair amount of sen, which you'll need to purchase Spirit Emblems and other items throughout the game. As mentioned earlier, dying for real will halve the amount of sen you're currently carrying, but it doesn't affect Coin Purses. Using a Coin Purse adds whatever it's carrying to your sen total, which puts it at risk of being lost. If you refrain from using these items until you need a cash injection, you'll be more well off in the long run. You can even buy Coin Purses from merchants, which sounds backwards, but essentially safeguards your cash from being lost when you die. If you don't need to spend your sen, put it in Coin Purses. The end of Sekiro's tutorial culminates in a stand off against Genichiro Ashina, a powerful samurai who wants to take the Divine Heir away from you. It's entirely possible to beat him, but odds are you won't, seeing as you'll have only just learned how to use your sword. The point is, don't sweat it if you lose this fight. Either way, canonically, Wolf loses. This is the point in the story where he has his arm unceremoniously removed from his body, kicking off the main game. If you do beat this boss, we tip our hats to you, but there's really no need. You'll come across some large bodies of water in Sekiro: Shadows Die Twice. Unlike From Software's other games, there's no need to fear; Wolf will happily swim through lakes and rivers, and doing so will often lead to alternate paths, hidden items, and more besides. Press circle for a boost of speed in the water. Because you'll be darting around in mid-air using your grappling hook, there may be times where you'll come crashing to the ground. Fortunately, most of the time, falls won't harm you at all, but it depends on how big the drop is. Falling from a very great height onto solid ground will do you some damage, but it's not something you need to worry about too much. Falling off a cliff or into a bottomless pit won't instantly kill you -- you'll be reset on terra firma with a fair amount of health taken. Watch your step! So, if you defeat Genichiro Ashina right off the bat, does the game end or is it one of those things where you get a different cutscene with the same outcome? Are y’all HYPED for the PlayStation State of Play (Direct)? @Quintumply Neat - then I strive to succeed! Who doesn't love a good alternate cutscene?! In all actuality, I will probably get defeated it 2 seconds! Got home from Game (ugh) at midday. Still playing at 1800. It's a belter, even for someone with as little gaming skill as myself. Getting this title tomorrow, can't wait M8!! From have seriously upped the difficulty with Sekiro. Having beat every Souls game and Bloodborne I can safely say that this is the hardest of any of their games, I'm still only a few hours in and I'm getting my backside handed to me at every turn. Sure, there's a learning curve and I can feel myself getting better as I progress but man this game is brutal and I'm loving every second of it! @Shigurui I dunno, I've not being finding it that difficult. 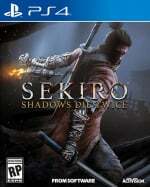 Sure it's challenging but I wouldn't say it is any more difficult than then Soulsborne games, you just need a different mind set with Sekiro. You need to read the enemies and either deflect, jump or step dodge their moves. It like playing rock, paper, scissors. When I first played Darks Souls, man now that was tough! @JohnnyShoulder - Difficulty is subjective I know but in comparison, Souls you can turtle safely, BB you can tank hits and rally, Sekiro on the other hand will mop you in a second with the slightest mistake. Maybe saying it's harder was bad wording on my part but they have absolutely upped the skill ceiling. Either way I'm not complaining, the game is a joy to play ! @Shigurui Yeah it's been great so far! I'm finding a good tactic is draw the enemies away from each other so as not to face groups of them. When their marker goes red they will actively search for you, when it goes yellow they will still be alerted but will start heading back from where they can from. You can sometimes circle behind them and do a death blow. Game is difficult but I’m loving it! !